What is the FIFA Mobile game? FIFA Mobile is an association football simulation video game developed by EA Mobile and EA Canada and published by EA Sports for iOS and Android. It was released worldwide on 11 October 2016, for iOS and Android. Microsoft Windows was also included until 2017. The new season of FIFA Mobile is called FIFA Soccer. Build your Ultimate Team and take on opponents as you train any player to superstar status, attack rivals, and engage in fresh daily content all season long. 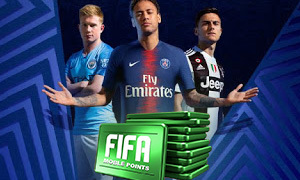 Why buy FIFA Mobile Coins from Joymmo.com? FIFA Mobile is EA sports FIFA mobile game, which runs on all kinds of phone devices. FIFA Mobile Coins is needed to buy players on their mobile to enjoy the world cup. So Joymmo.com is aiming to be all FIFA Mobile players’ first choice for buying FIFA Mobile Coins on iOS and Android. With our credible service, instant delivery and safe payment methods. 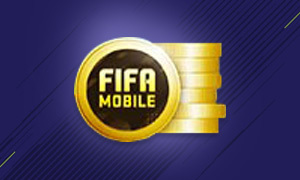 To sum up, we are the trustworthy provider of FIFA Mobile Coins for your choice.